We are having our 12th annual March Membership Drive!! Our goal is 275! new and renewal memberships during the month of March. 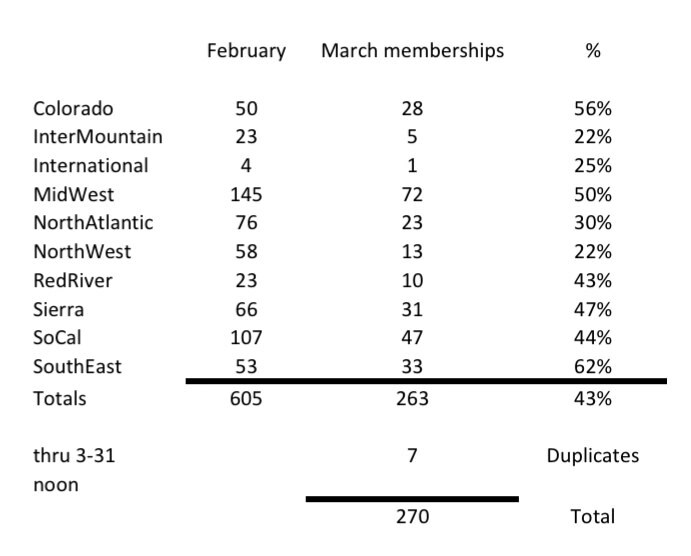 Last years membership drive brought in 274 total memberships and renewals! 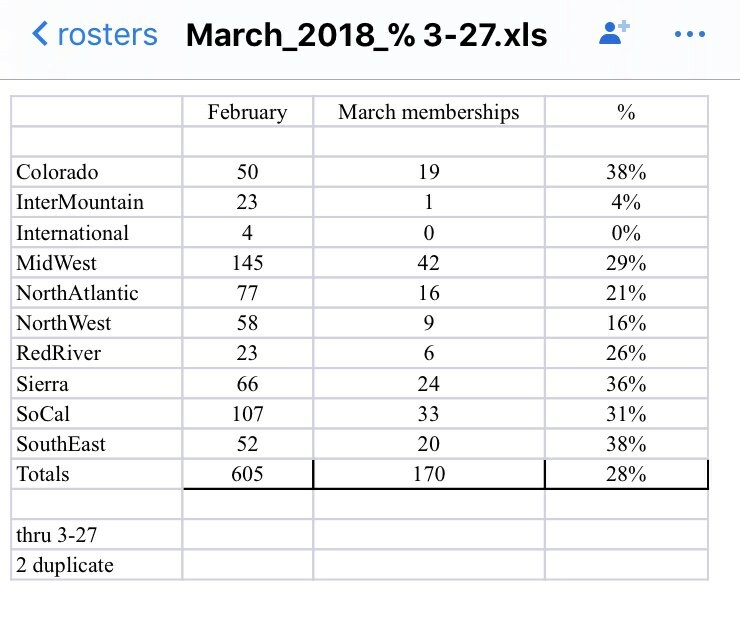 Everyone who joins or renews during March will be entered into a drawing, plus we're having a chapter contest to see which chapter can have the most new and renewal memberships. Please note: In regards to your current membership if it isn't expired yet. If you renew in March, you will be entered into the drawing. If you don't expired til sometime later, your current membership will just be extended. There's no reason that everyone shouldn't be signing up or renewing in March! We are going to try to announce one prize a week, the next three weeks. Just a few days left to go in the membership drive! We are at 175 memberships! We are 100 away from our goal of 275 new or renewed members! Lets get the goal! As you can see in the image below, the chapter contest is very close! Below I've posted a recap of the awesome prizes this year! 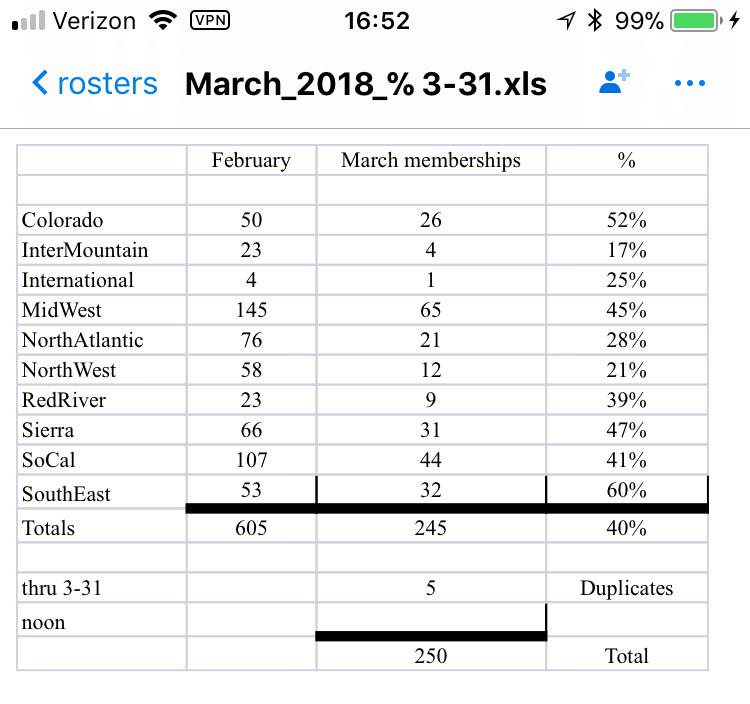 We had 270 folks that joined or renewed in the month of March. Thank you to everyone! Please note everyone that joined or renewed in March will have their names forwarded to the National president, who will then draw the names for the individual prize winners.